During a summer job during junior high, Dan bought a new guitar and – using the knowledge he had retained from earlier lessons – basically taught himself. He wrote poems and occasional songs through high school. His senior year found him writing a music review column for the school paper, the Hoofbeat, as well as poems, songs, and short stories. Between 1996 and 2003, Dan wrote articles for the Disc Golf World News magazine and wrote the first Disc Golf short story. He also edited and published the North Texas Disconnection newsletter. From 2003 to 2005, he researched and wrote “The Minutes of Salem Baptist Church,” which was located in Salem, north of Chattanooga, Tennessee. Dan’s great-great grandfather, Joseph Roark, gave part of his land for the church building, and Dan’s ancestors, from Joseph down through Daniel Blythe Roark (Dan’s grandfather), attended the church. Dan stopped playing guitar in 1999 when his musical partner of twenty-five years, Joel Nichols, passed away. Dan, and his wife, Cyndy’s, three boys were younger and beginning to play Little League, join the Cub Scouts, and so on. After a couple of years, he began writing songs again and played in the annual church talent show. Now the boys are in their late teens and early twenties and all three play guitar on different levels. It is time to return to the music he loved and played for many years, and make new music. 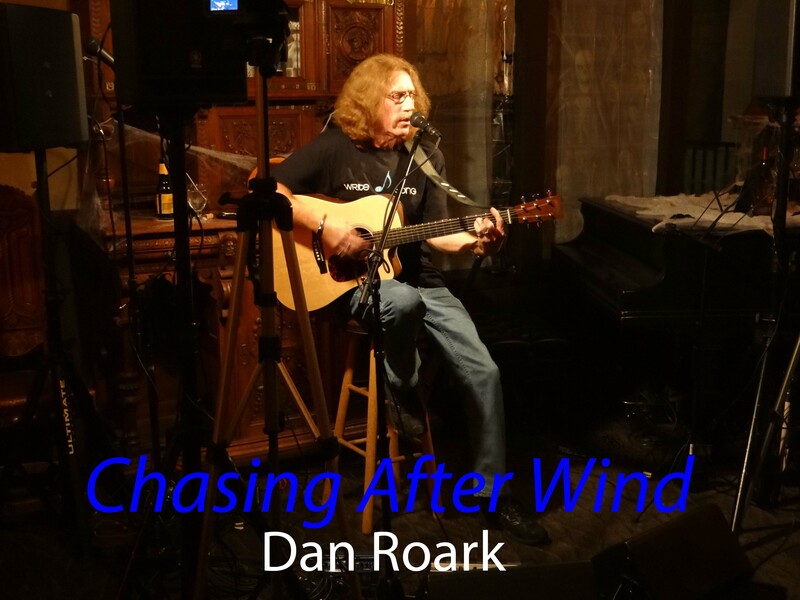 Dan released a new cd in January, 2014, and is playing gigs around Dallas, while preparing for a tour around Texas and elsewhere. He continues to write songs, is editing his book of poetry for publication in the near future, and has plans for other musical and writing projects.